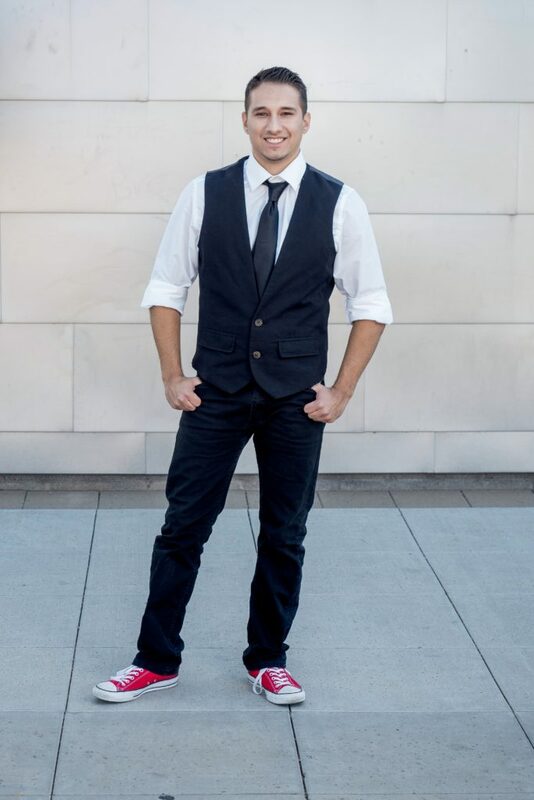 Andrew Palma was born and raised in Gilbert, Arizona where he found his passion for dance. He started out as gymnast and was a state champion on floor exercise. When he was seventeen, he decided to really pursue dance. Since then, he has danced on the NBA Phoenix Suns Solar Squad and the WMBA Phoenix Mercury Hip Hop Squad. Andrew also danced competitively on Elektro Academy Dance Crew and had the opportunity to represent the USA in Hip Hop International’s World Hip Hop Dance Championship. Currently, Andrew performs with EPIK Dance Company and The Be Kind People Project. He also teaches at various studios and choreographs for many schools and dance companies. Andrew hopes to impact audiences and to mentor other dancers to become the best they can be.